Planning on remodeling your bathroom in Santa Clarita, CA? Novel Remodeling and our team of bathroom remodeling contractors in Santa Clarita offer low prices on full bathroom remodeling, and partial small bathroom remodel for residential properties. We specialize in water damage restoration for bathroom remodeling, trendy bathroom remodeling and bathroom repair services. We are fully licensed and insured, with great references in Santa Clarita. Compare prices, save thousands, inquire today! Bathroom Remodeling often occurs out of necessity, and we are here to help you get started when you need us the most. In Santa Clarita, our bathroom remodeling services range from water damage restoration to small repairs and more. In Santa Clarita, we provide the lowest prices for bathroom tile installation for homeowners. Whether you’re installing bathroom porcelain, or ceramic tiles, we have the best prices premium quality materials. Locally imported, we make bathroom remodeling easy and fun! Schedule your free estimate to get our best prices, today. Shower enclosures are one of the most popular types of bathroom remodeling we do in Santa Clarita, CA. Homeowners are replacing soaking tubs with new walk-in framed and frameless shower enclosures. It’s easy for elderly access for the elderly, and fast for working families. Got a leaky pipe in your bathroom? Need a local plumber or a bathroom remodeling contractor to help you repair and replace the area? Novel Remodeling and our bathroom plumbers are here to help! Schedule a free estimate to stop leaks, and remodel right! 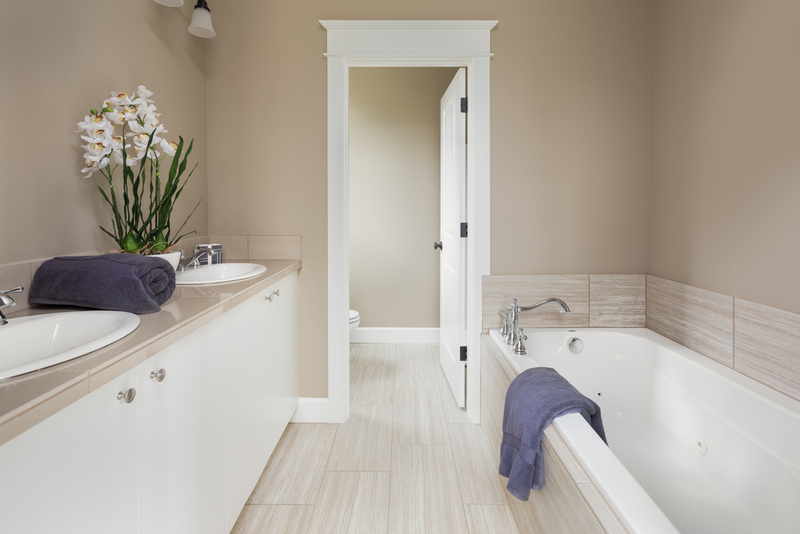 Bathroom tub installation services is available for homeowners interested in replacing, or installing a new tub for their home in Santa Clarita, CA. Schedule your free estimate, learn about different tubs that are available. We provide walk-in tubs, and soaking tubs for homes. Not sure what you need? Schedule a free estimate to get costs, details, and advice today. Interested in repairing your bathroom in Santa Clarita, CA? Novel Remodeling and our team of bathroom remodeling contractors provide bathroom repairs for residential properties. We provide all types of bathroom repairs including small projects and full scale bathroom remodel. We do plumbing repairs, electrical repairs, bathroom design adjustments, blueprints, and bathroom water damage repairs. Schedule a free estimate to learn about bathroom remodeling costs, and more!